“Dumbing down” is not an inevitable consequence of recession. Can it really be a year ago since the glorious London Olympics brought so much joy to the world whilst the ever cautious economists were telling us that we were heading into ‘a double dip recession’; bringing with it a sense of doom and gloom. With this in mind I started to observe businesses more closely. I can still recall the words of my University lecturer who proclaimed that one should “never, ever, ever dumb down in a recession”. Is airline business mentality right? I have told myself we would make up the loss to the economy as the great British sun seeking public got into their stride seeking holidays during 2013. Or would we? Would the airlines allow us to? It is not just the budget airlines affecting the economy; it is virtually ever airline, which appears to be falling into the same business inefficiency trap. More and more travellers are opting to take on board ‘hand luggage’ in order to avoid increasing charges for luggage check-in. The era of the airline wheelie trolley has arrived! Many airlines when confronted with 90%+ of their passengers at the boarding gate clinging desperately to their beloved wheelie bags have now realized that the capacity of today’s cabin stowage cannot cope. When this happens, airlines have taken to offering free luggage check-in at the gate. Such precious revenue is surely too good to be given away. The real message here is that these airlines have forgotten of the old adage of 10% of something is better than 10% of nothing. In other words if airlines had not decided to “dumb down” their luggage check-in service and instead set their luggage check-in fees at a reasonable level then they would actually make more money! •	Cutting services or quality of products in a service industry is suicidal; customers will go elsewhere for good service and quality products. •	There can be no doubt that ‘recruiting’ on the cheap is false economy. •	Making do with existing teams that have not received any training or talent development support will dumb down businesses automatically, and equally as bad the competition are more likely to steal your ground and market share. In summary the sooner businesses that adopt this thinking recognise that “dumbing down” is not an inevitable consequence of recession and reverse the process, the more likely they are to survive this recession and the years ahead. 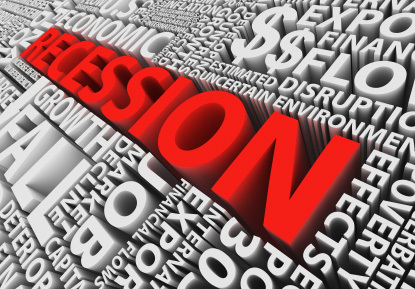 Does your business need a recession resistant strategy? If you would like to learn more about developing a recession resistant strategy then please contact us.